Cricket, a simple yet complicated game, a team of 11 chasing a ball, two warriors doing their best to dispatch it to the furthest corner that is humanely possible, sure cricket is a team sport. However, if we drop down from our high pedestal and look more closely, it’s clear that cricket has the most scope for individual performances to turn the outcome of the match, compared to its other contemporaries, football, hockey to name a few. But there’s even an upside to all this- Cricket has been blessed with many individuals over time, who swirled the matches time and again at their own convenience. These selected few individuals are broadly referred to as “Legend”. And then comes another breed of individuals, the ones who were part of the glory, the one who bruised the batsmen, annihilated the bowlers, but who just couldn’t do it more often. It sometimes came down to serious injuries, the injuries that held them and their potential back, sometimes it was down to confidence, they had lost much of it by the times they were selected, while sometimes, sometimes even the gods didn’t want them to succeed. CricMatez takes a look at some of the individuals who could have been regarded as the legends of the game, albeit some reasons in our list of “Top 10 would have been legends “. 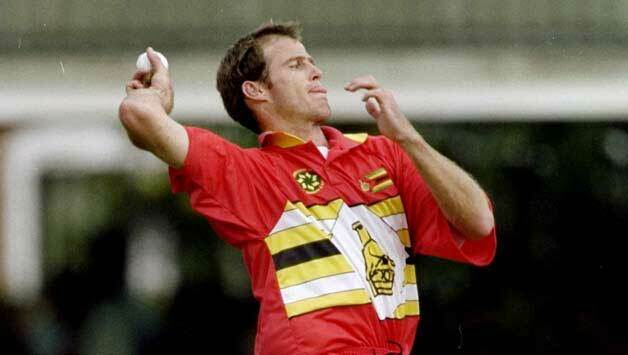 An effortless hitter at the top and a shrewd bowler, Neil Johnson was one of the heroes of the swansong of Zimbabwe in 1999 World Cup. Paying no heed to reputations and names, Johnson is best remembered for his see ball hit ball approach to the batting at the top of the order for Zimbabwe. Wining three Man of the match awards in the world cup, Johnson could have been one of the true greats of the game, particularly in ODIs had it not been for low pay-off at Zimbabwe and his not so sweet relations with former coach Dave Houghton. Johnson played 48 ODI matches, scoring 4 centuries and taking 35 wickets.